Our childhood love for the deer cartoon movie Bambi will forever determine our love of everything to do with deer: their soft noses, their beautiful doe eyes, and their incredible grace and posture. While there are a lot of step by step deer drawing tutorials out there, why go through the trouble of all that when you have a free and premium range of printables that gives you wonderful deer outlines for your designs? You can also see 3D Pencil Drawings. Whether your need deer drawings for kids to color, or just simple deer drawings that you can transform in your elaborate Photoshop projects, our best printables are Pinterest ready in a moment! So be ready to create that deer drawing coloring book, because you’re bound to be unable to decide from amongst our incredible collection! 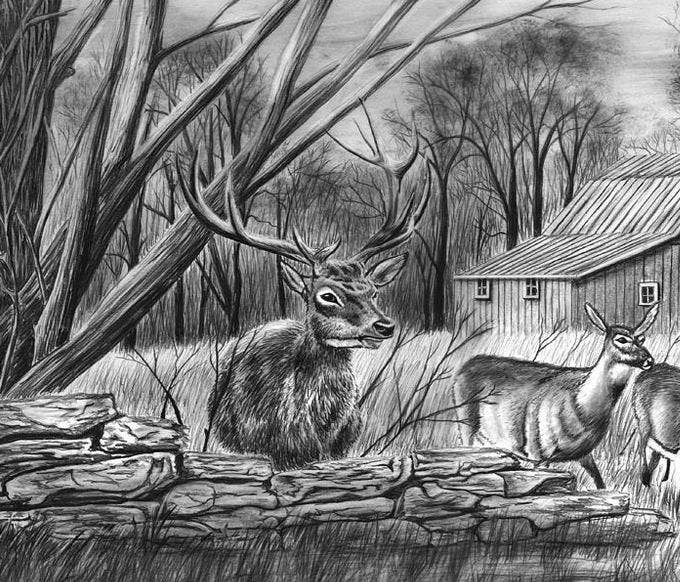 This template shows the pencil sketch of deer with grass field, a cottage and some trees on the background. 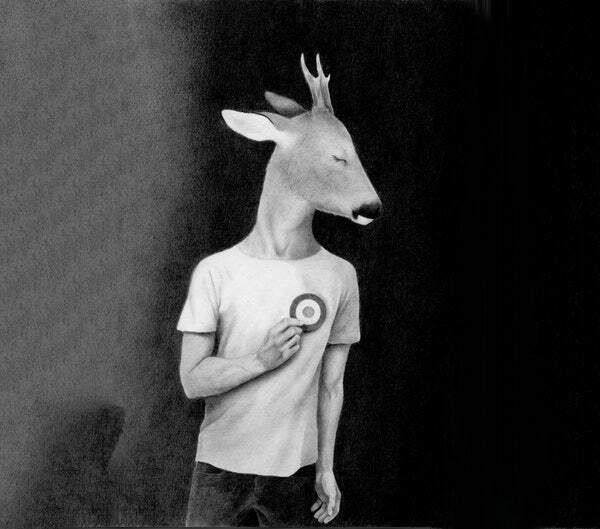 It is among the best pencil sketches of deer. It can be used by the designers for drawing books or for sketching lessons for learners. 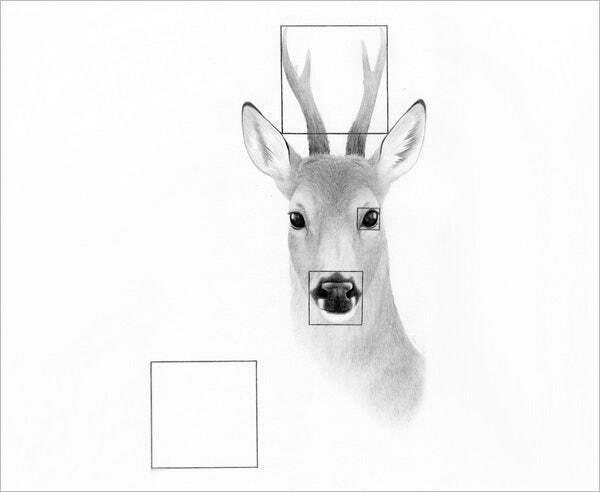 It includes deer drawing simple example. 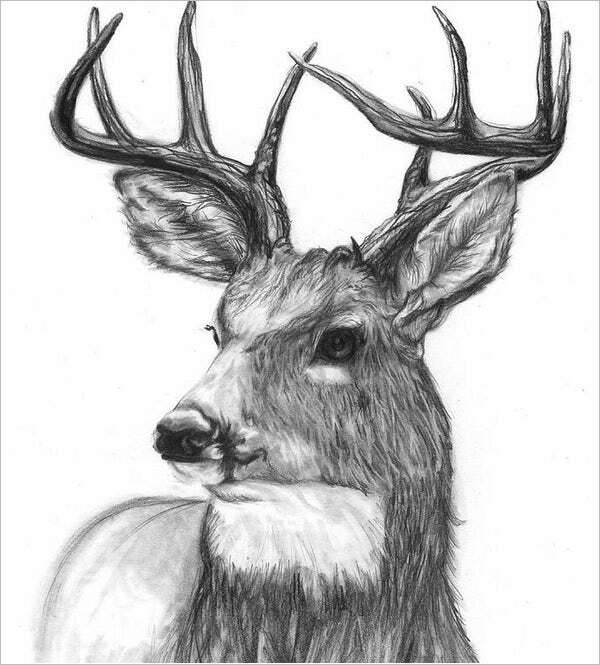 As it has pencil sketch of a single deer on white background, it can be used on paintings or designs where the image of deer is required. 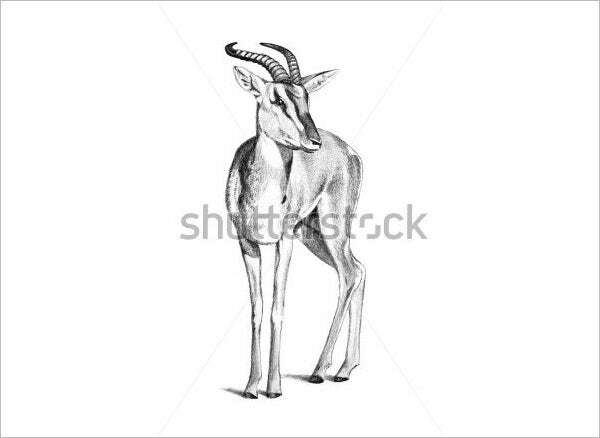 It is sketch of a fair deer with head turning backwards. 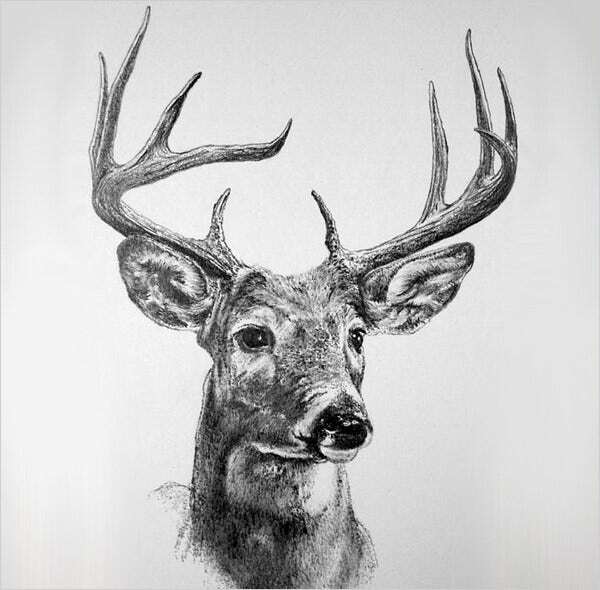 This is a very good example of pencil sketches of deer which can be used for designing purposes as it has a wooden texture of pencil sketch in black and white and an artistic touch. You can use it for graphic designing purposes. The image has a pleasant touch of various shades of yellow with black outlines. 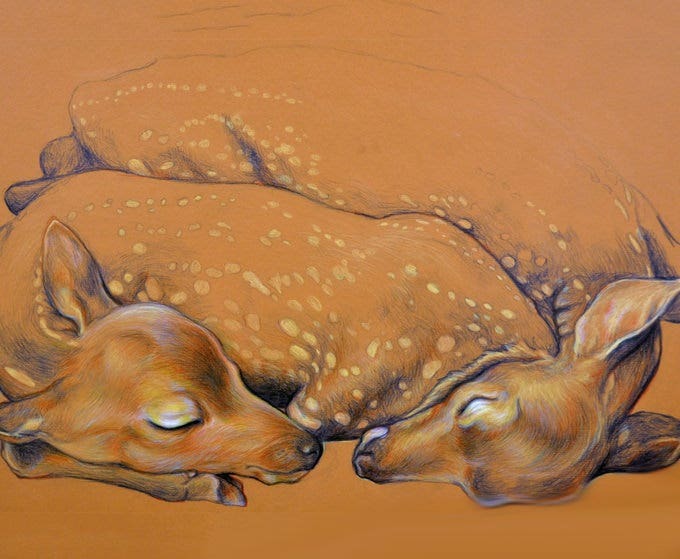 It features two deer sleeping. 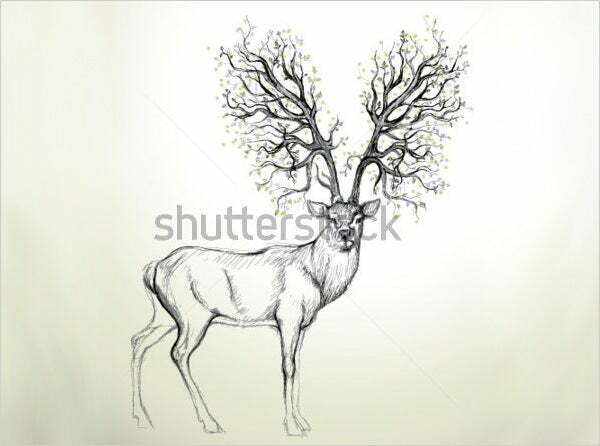 You can bring in the soothing and peaceful touch of the picture in your graphic design as deer drawing pictures are becoming a trend nowadays. As the name suggests, the drawing has a sophisticated touch of beauty in it. 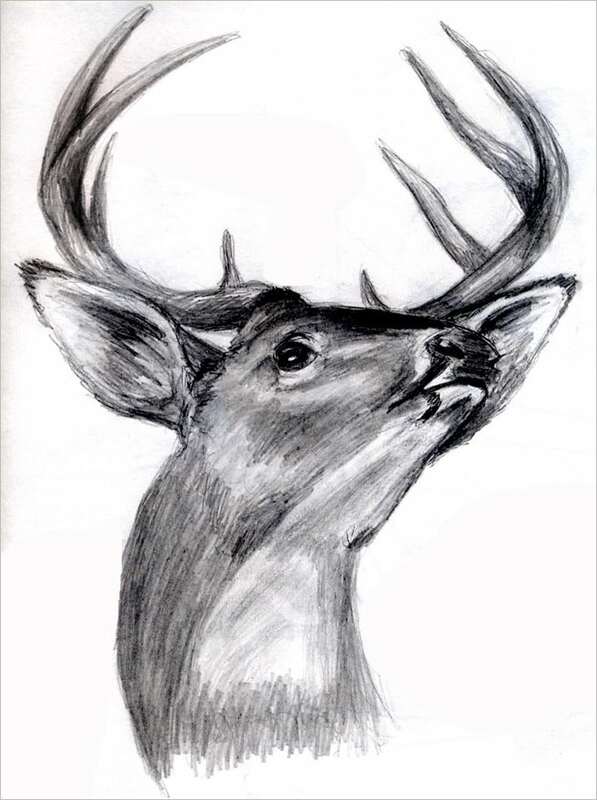 The sketch shows a deer with two tree designs in place of its horns. The sophisticated design idea can be used in covers or cards to give the elegant touch. 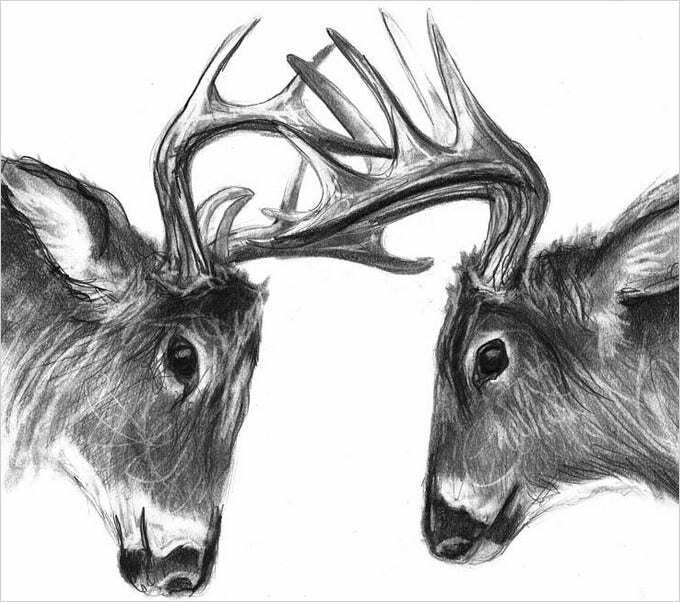 The drawing shows two deer in a head on position with each other with locked horns. 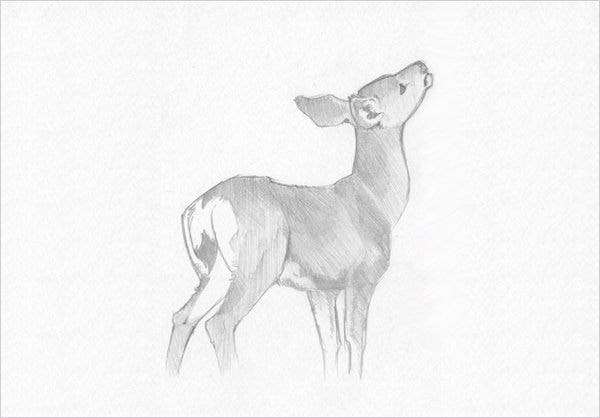 The black and white deer drawing images can be used for drawing lesson books for learners. It also finds wide use in graphic designing. The elegance of the drawing along with the sweetness and innocence of the deer can be used in various designing purposes or drawing books. 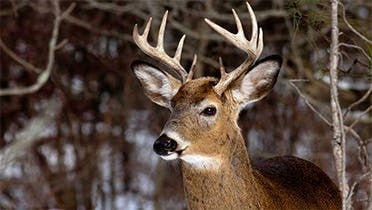 The deer drawing easy consists of head and horns and is a good example for the children. 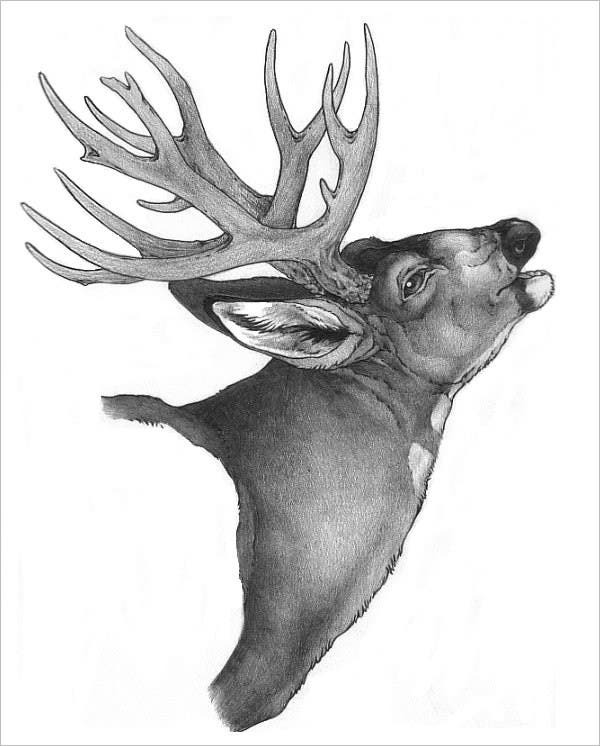 The pencil sketches of deer have a simple yet stylish touch to it. 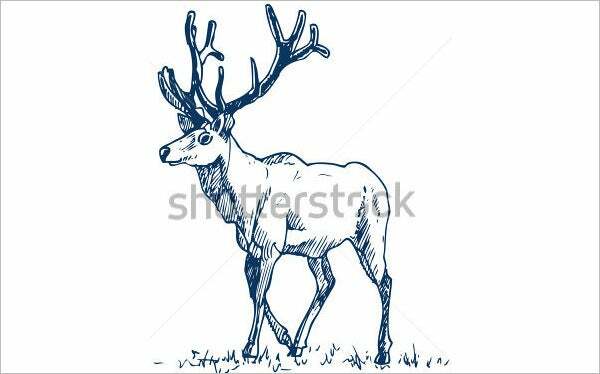 The designs on its horn, the posture of the deer on white background sum up its elegance which can be used by the graphic designers for projects. 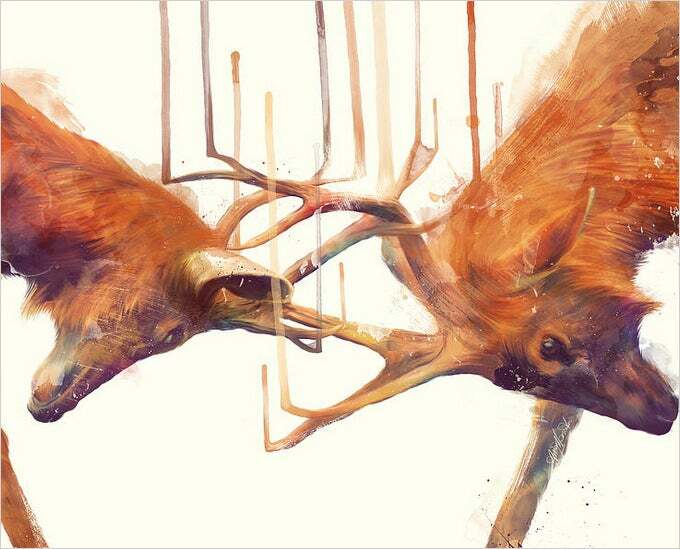 The deer drawing images have an artistic approach as it shows two deer in head on position with locked horns and the paint dripping upwards towards the sky. Its uniqueness, strength and artistic approach find use in wide range graphic designs. It is a colorful picture and is ideal for designers as graphic designers will find a lot of application. 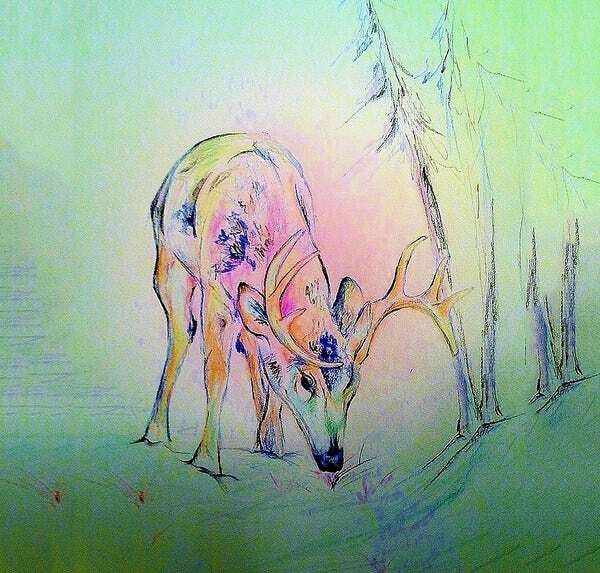 The deer drawing images have a light blue background and has colors filled on simple pencil sketch. The trees on background add on to the beauty. 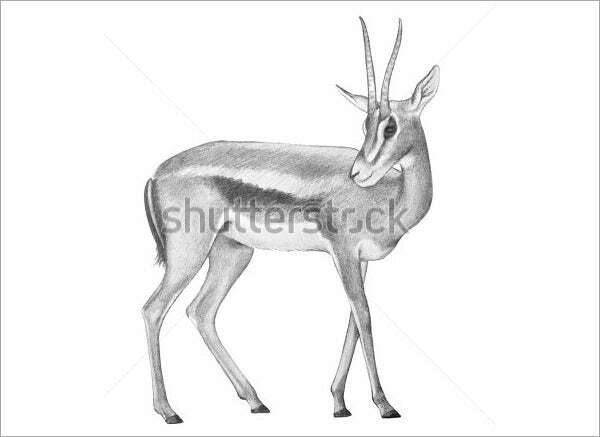 It features a gentle drawing of a deer with blue ink on white background. 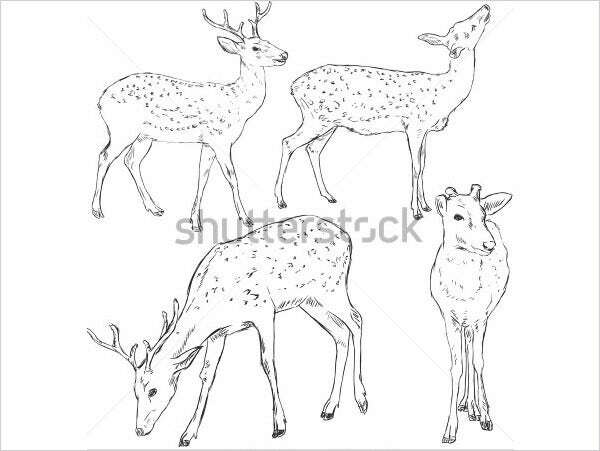 The deer drawing easy is good one for themed graphics and the gentleness of the picture with the uniqueness of blue ink sketch is quite trendy. 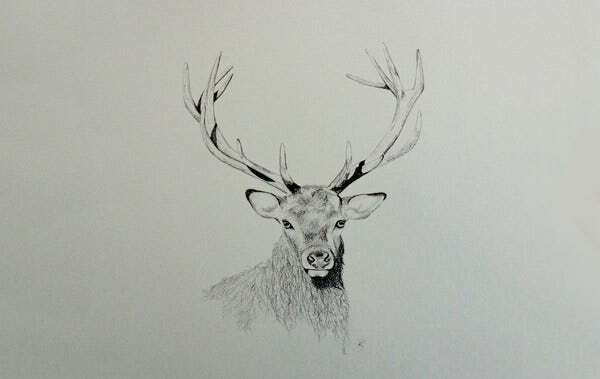 It is another among the pencil sketches of deer. It has a professional touch and seems to have been made by some expert painter. As it has a perfect look, you can use it for drawing books or covers, etc. 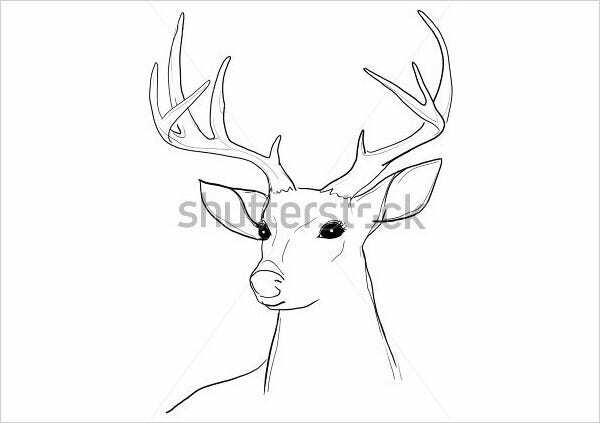 If you are looking for some deer drawing ideas which are unique and special and would suite your design, this is the one you are looking for. 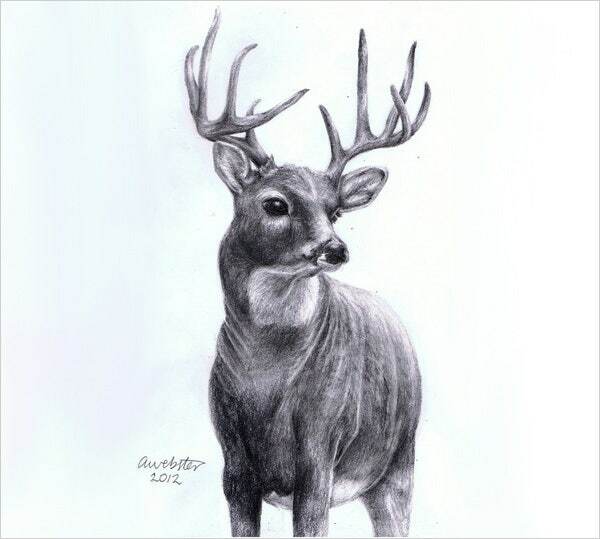 The unique deer drawing pictures are4 great for giving the special look to your designs. 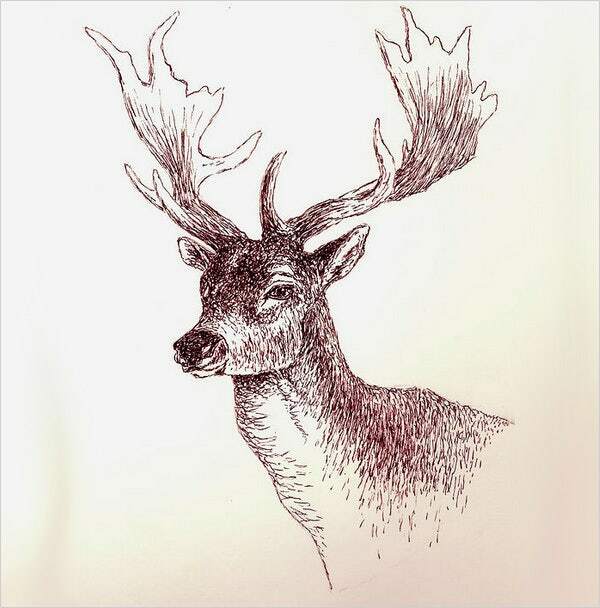 These fabulous deer drawing images are great for professional use and these have become quite popular recently. The touch of perfection and uniqueness in the image lets you use it for a wide range of purposes like drawing, designing, covers, web sites, cards, etc. 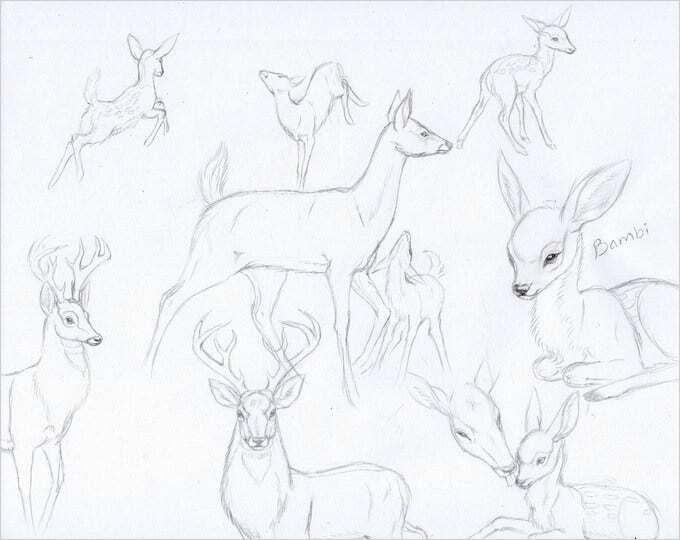 This deer drawing step by step is a great one for drawing books for children to learn how to draw a deer with pencil outlines as the image has pencil outline sketches of different poses of deer which are beautiful and easy. Welcome to an incredible range of printables that are just right for all your needs! Whether you want to instill a love for nature in your children, or just want to occupy them in some activity for a while, you would love our very broad collection. Even if you need it for a more complex design, like for print postcards or decorations, these are perfectly adaptable to your every need. You can also see Eye Drawings with Eye-Catching Designs. 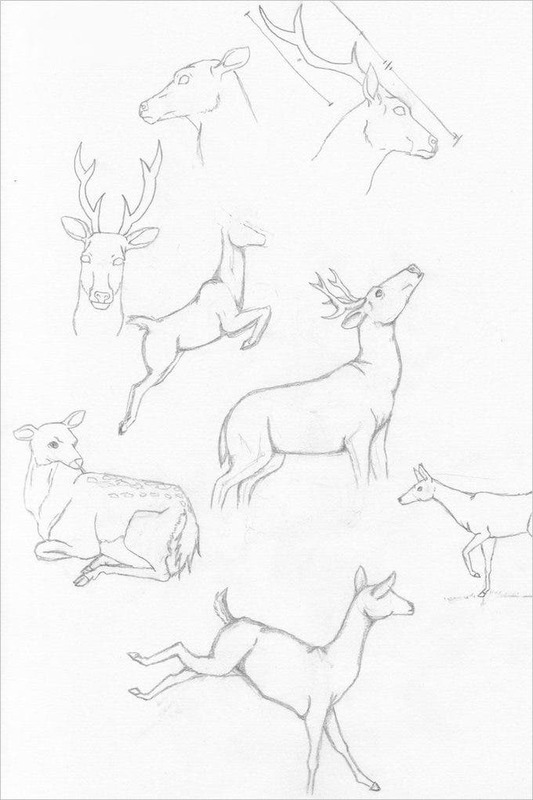 These free deer drawings are the best, because they allow you a broad range of postures and patterns. These deer are incredible at adapting to your crafting projects, by fitting into a broad spectrum of design aesthetics. 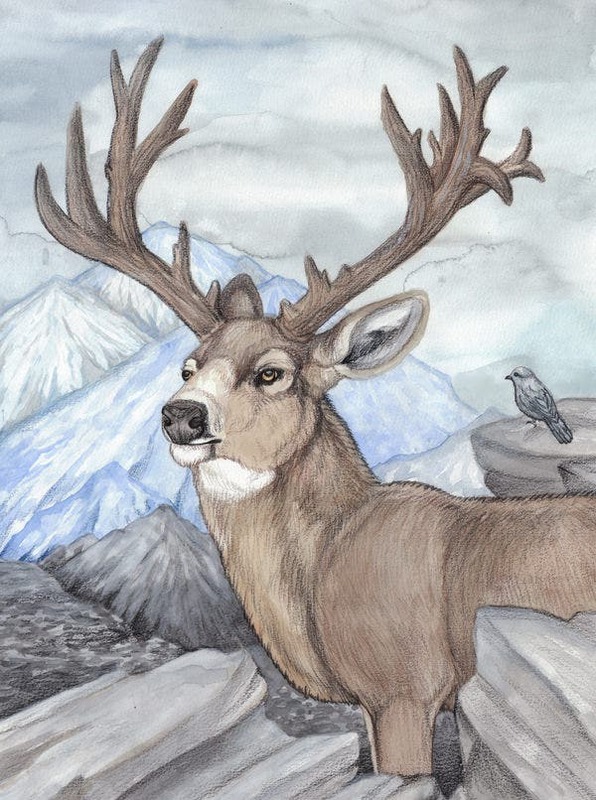 We have selected some of the best deer drawing images for you to use in drawing books and other designs. 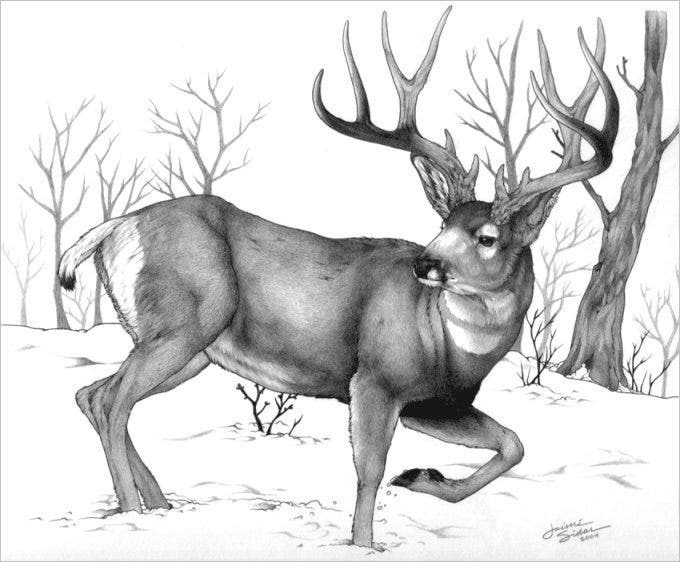 Deer drawings have become popular and find ways in the graphic designing market as well as web site designing. As a designer you will find them helpful and useful for your designing projects.